Barry Geraghty. 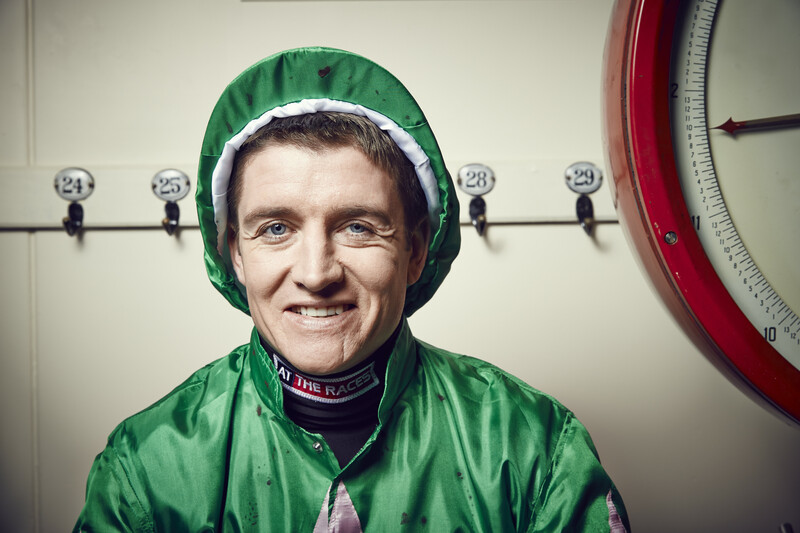 Pic: Dan Kennedy/At The Races (Courtesy of Great British Racing). More Of That justified connections’ faith when he made a winning debut over fences on his first race for more than 11 months at Cheltenham on Friday. The 2014 Ladbrokes World Hurdle winner’s prolonged absence from the racecourse was due to wind problems highlighted last November after he suffered his sole defeat. The victory was the Jonjo O’Neill-trained seven-year-olds sixth win in seven starts and his first run since a wind operation. More Of That raced close to the leaders throughout the extended two and a half mile Steel Plate And Sections Novices’ Chase. He challenged two fences from home and was pushed out to win by Barry Geraghty to score by two and a half lengths. “We’d have been disappointed had he not run well. He’d been giving the right vibes to Jonjo. We were hopeful of a good show,” winning owner JP McManus revealed. “It’s nice to have one that does it better on the track than he does at home. But Jonjo was confident that he had him well – as well as he could have him for his first run. I’m that pleased that, after last season, when he had his issues and problems, he seems to have got over it. The manner of the victory impressed trainer O’Neill, who is hopeful the gelding will transfer his proven ability over hurdles to the larger obstacles. “He’s in great form. He’s a lovely horse to deal with,” O’Neill said. “He was a good horse over hurdles and hopefully he’ll be a better horse over fences. You have to have luck, obviously, but he’s a proper horse and it’s lovely to have him. “He’s a good horse who has had an interrupted career with his wind problem, and let’s hope it is onwards and upwards from here. “We knew his wind wasn’t good, but he was unbeaten at the time and it would have been a brave man who operated on him when he was unbeaten. When he ran round Newbury he bled, and was operated on straightaway afterwards. Geraghty added: “He jumped nicely. He got in tight to the third last and I had to give him a bit of a squeeze just to get competitive but he’s got more sense than I have and was very casual over it. He jumped the last well. “The ground was probably soft enough for him but was a nice introduction. He should come on nicely for the race. It was his first run of the season and he missed most of last so he’s entitled to come on for it. He jumped well though.